Okay! Wow! How’s this for a bit of a timeline brain jolt for you technology fans? 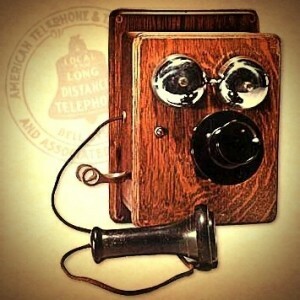 Less than a century ago, ninety-seven years to be exact, on the 25th day of January in the glorious year of 1915 the first transcontinental telephone call was successfully completed with Thomas Augustus Watson at 333 Grant Avenue in San Francisco receiving a call from Alexander Graham Bell at 15 Dey Street in New York City. THE FIRST COAST TO COAST PHONE CALL! Today, we have instantaneous audible and visual contact with people around the globe, although the conversations are still similar to that historic first call. Bell: Can you hear me now?